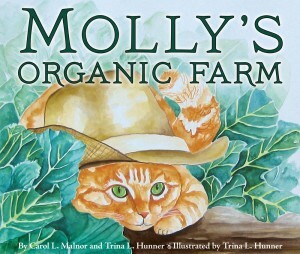 Molly’s Organic Farm is written by Carol L. Malnor and Trina L. Hunner, and realistically illustrated by Trina L. Hunner. I received the book from Dawn Publications as a review copy and, much like their other offerings, it does not disappoint. 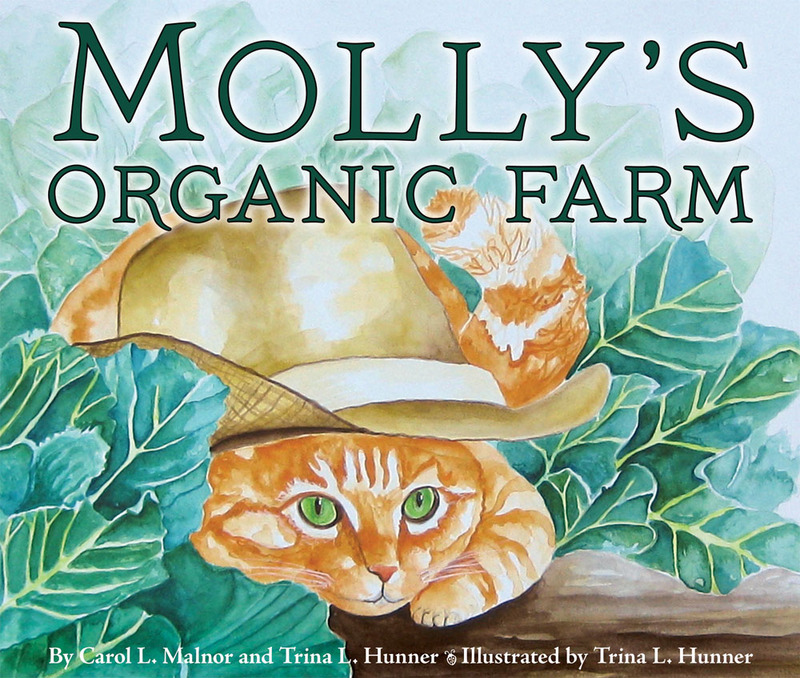 The book is based on the true story of a cat named Molly who is welcomed on an organic farm. Told through the seasons and Molly’s experiences, the book uses third person narration to let the reader learn about the organic farm along with Molly. I don’t think I can do the level of detail on each page of the book justice, I didn’t even notice until reading the additional information at the back of the book (there are photos of adorable Molly there as well, can you tell I’m a cat person?) that the story featured each of Molly’s five senses in little inset images scattered through the book. Through telling the story of how a stray cat found a safe and loving home, the book also has a lot of information about vegetable farming and the people, insects, and animals that all come into play to bring delicious organic food to our tables. Vegetables and cats!! Sounds like its got our name all over it. Thanks for this review. Cats and gardens just go together, don’t they? Makes me miss my childhood tuxedo cat, he used to sit with me as I picked grapes when we had a little vineyard.